Benchmark Stables is a premier Hunter/Jumper facility with state-of-the-art facilities and amenities located just 50 miles from the beautiful city of Chicago, Illinois. They pride themselves in the care and quality of the horses and provide the best possible environment and training. Benchmark Stables competes at some of the most prestigious shows across the United States and provides training, instruction, care and top horses for sale for riders of any level. 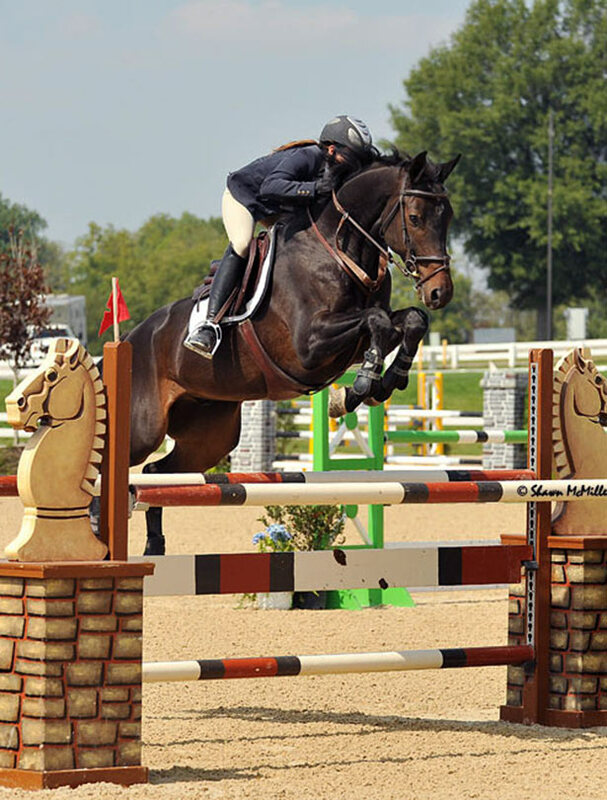 Liz Atkins, owner, manager and trainer of Benchmark Stables rode competitively as an amateur and moved up to competing at the Grand Prix level. USHJA named Liz as a top young professional Grand Prix rider in 2014. Liz’s training program is designed around developing and challenging both horse and rider to achieve success and finds particular enjoyment in developing green horses to the upper levels of show jumping. EqGraphics was an absolute pleasure to work with. The representatives were in constant communication throughout the entire process, and I felt like it was just as important to them as it was to me. My website is practical to Equestrians, it looks stunning, and is extremely user friendly. I had no idea how simple it would be to make changes and update information myself. If I’m ever confused about something though, EqGraphics is always just a call or an email away. I would highly recommend their work to anyone looking.